in case of cancellation you loose the 50% that you paid as a deposit. Brest location and very helpful staff! I stayed in this hostel over 30 years ago and when I returned to Palestine in 2015 and 2018 stayed there again. I arrived late at night which was problem. Really friendly, helpful staff. 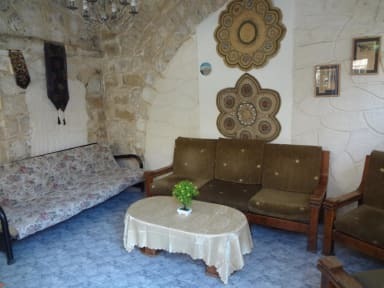 The hostel is in a great location, with great views over Jerusalem...near all the tourist sights and easy walk to the bus station for bus's to the West Bank. Love everything about this place. I was greeted warmly by Assim. Both he and Noor were always helpful and informative throughout my stay. A kettle is provided in the communal area for making tea/coffee which suited my needs. My room was simple but clean. I was unprepared for the very chilly nights and extra blankets were made available. 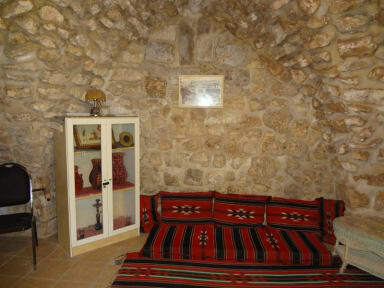 Jaffa Gate Hostel is brilliantly positioned for exploring Jerusalem. It's an easy walk from the sherot/taxi drop off outside the old city which is on the doorstep. I'd definitely stay again. Greatest location. It was clean and the staff was pleasant. Great location, incredibly friendly and helpful staff; only drawback was the lack of WiFi in the rooms. Staff is incredibly helpful and the location is unbeatable However, our room was damp and smelly; beds too small and uncomfortable; our toilet was also rather filthy. Toilet & shower is in poor condition, bad smell coming back up from the drain. Too small & no shower curtain to separate or stop water splashing to the toilet. Old & dirty utensils in the kitchen.